Ireland is known for being a proud and passionate nation, steeped in history and tradition, with stunning landscapes, accommodating people and of course, a love of sport. In this blog, we look at our historic national stadium and the engineering that influenced its award-winning redevelopment. The existing arena has come a long way from humble beginnings and the very first All-Ireland finals held at Jones’ Road, site of today’s state of the art ground, in March 1896. It was some seventeen years after this, in 1913, that the Gaelic Athletic Association (the GAA) were able to purchase Jones’ Road using the gate money from the Croke Memorial Tournament. It cost them the princely sum of £2,400 and was renamed Croke Memorial Park in honour of one of the GAA’s original founders – Archbishop Thomas Croke. 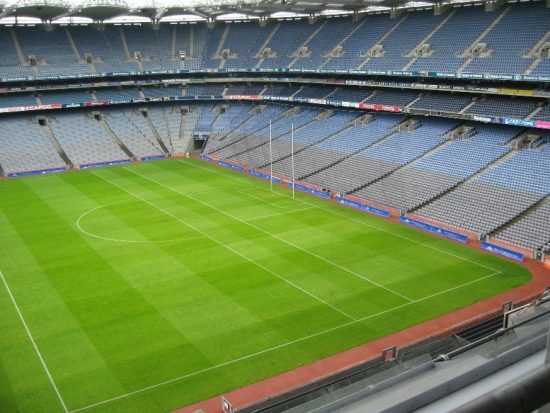 Completed in 2002 by Irish architects Gillroy McMahon, in conjunction with international sports facilities designers HOK Sport, the newly-developed Croke Park had a number of briefs to fill. 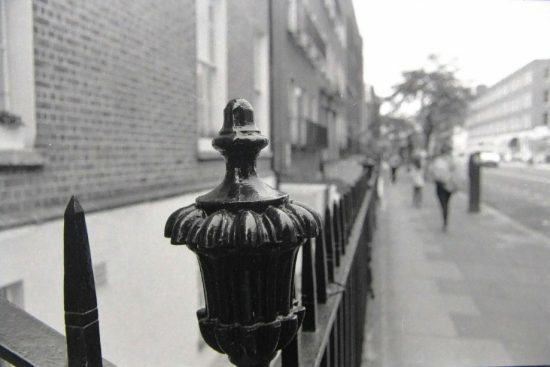 As a sporting venue it had to accommodate huge numbers of visitors at any one time – over 82,000 in fact – and critically, had to provide those paying guests with a full, clear view of the sporting action yet retain the sense of community for which Irish Sport is known. Being the flagship centre of Gaelic Football and Hurling, it had to reflect this status whilst also being appreciative of the history and culture of the GAA in general. It was also important that it looked good given the effect such a big stadium would naturally have on the Dublin landscape. Aesthetics are integral to the approach taken by the architects and a key part of the Development Control Plan was to involve revolving the pitch by eight degrees so that effectively it should track the line of the railway and the canal that passes immediately to the south of the ground. 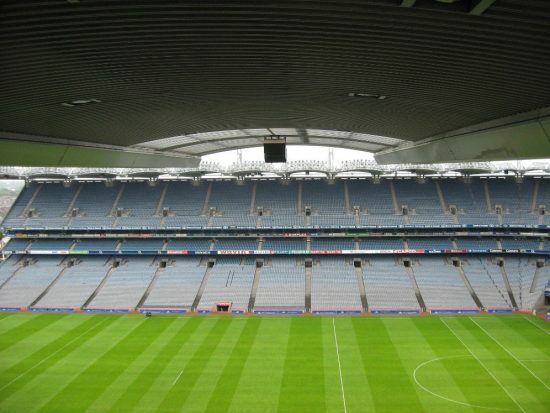 Unique to Croke Park is the leaning structural frame with the tiers of seating pitching out towards the field of play. This creates an effect of communal intimacy amongst the spectators in affording them the same focal proximity to the pitch across four tiers of seating. It was a conscious decision to abandon the European tradition of segregating fans vertically and adopt an American approach to site fans across horizontal lines. This gives the impression of one huge room and enables fans to walk from the Cusack Stand all the way to the other end of the Hogan Stand, over half a kilometre around the horseshoe. In the original plans for the stadium, it was proposed that Hill 16, with the exception of a few rows, would be removed. Historically and culturally significant, the terrace was both a physical and a subconscious representation of a turbulent past that many would have been keen to retain but did not seem at first architecturally possible. In part, this was due to the fact that the GAA did not own all of the land behind that area of the ground. Thanks to a touch of engineering ingenuity, however, namely a ‘Y’-shaped structural support system providing a central support column for the seating and catering for a concourse and the cantilever roof, the much-revered stand at the Railway End of Croke Park was saved. This is a significant deviation from the more traditionally-used ‘H’-framed, post and beams model of structural support. In addition to being able to accommodate over 13,000 people in the newly-built stand, this revolutionary engineering design solution has also afforded bigger pitch dimensions: the new pitch is a whole seven metres longer and three metres wider than the previous one. Shane O’Toole, writing for Archiseek in 2002, describes the GAA as “..not just a game, but a culture” and this sense is retained with references to historical events throughout the stadium. The new Cusack Stand, now with space for 27,000 people compared to the 5,000 it originally held, is of course named after Michael Cusack one of the original GAA founders with the Davin Stand commemorating the first GAA President, Maurice Davin. This section of the ground also houses the Ali Tunnel, created as part of the redevelopment, to honour legendary boxer Muhammed Ali and his 1972 bout with Al Lewis. It is impossible also not to make reference to the significant events of 1920 when thinking of Croke Park and the Hogan Stand poignantly pays tribute to Tipperary player, David Hogan, who was killed on Bloody Sunday. A contributory factor to the architects being awarded a Gold Medal from the Royal Institute of the Architects of Ireland (RIAI) was the ability to successfully manage the competing demands of a state of the art building, retaining a sense of the culture of the GAA and a sympathy to the wider Dublin landscape. Aligning the three demands was of key importance to the architects, who wanted to ensure that the stadium was as aesthetically pleasing when seen at a distance from across Dublin as it is within its immediate environment. The choice of colours matches those of surrounding buildings and each face of the base of the ground has been designed for the specific context it faces, whether towards the canal or the residential aspect of Jones’ Road. One of the most popular sports in Ireland in terms of attendance, Gaelic football shows no signs of slowing down. There was a 24% increase in 2017 spectator numbers compared to 2016 as reported in the Irish Mirror, and an extra €4m received in revenue and the interest in Hurling continues too. There’s little doubt that the redevelopment of our flagship ground has and will continue to contribute to this but it’s more than just facilities. The stadium of today even hosts music events, with many world-class headline acts choosing Croker as their Irish performance venue. In fact the singer Taylor Swift recently made history by being the first woman to perform two shows in a row at the ground. The care taken in the design to acknowledge the past whilst looking to the future engenders in us the relevance of our culture in a modern world and we here at European Springs Ireland are proud of the influence of engineering in preserving that for future generations.